It’s been a while since I’ve been on here! Unfortunately, life has got the better of me and I’ve never been so busy before this. It was when some of my friends back in the UK snapchatted me photos of lectures that I realised that not everyone had this year away from campus. That for most students, university had started. I’m sure everyone back in Guildford is struggling to go back to old routines and trying to understand new material taught in lectures. I’m however, on placement. To those who don’t know, I’m currently in New York City at the Cornell university medical campus. I’ll be here for the next year (at least until the end of next September) and this will be my placement year of my degree. As expected, I was excited to start. We arrived first in New Jersey to stay with some family. They would drive us into New York City almost everyday and just everything about this place has me charmed. It’s something completely different from what I’ve been accustomed to. I started work about two weeks after arriving in NY. I don’t know what I was expecting but it was certainly not this. 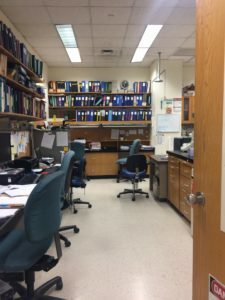 I have been at this lab as a Research Assistant for exactly a month now (I started on the 6th of September) and just typing that made me stop and think. I can’t believe I’ve only been here a month! Everyone has been so lovely and patient with me while I struggle to learn some lab techniques. I can assuredly say that I have learnt more in the 4 weeks here than I have ever in the two years of university labs. 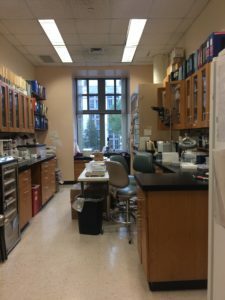 I work in a very small lab, so there’s only about 5 of us (including my supervisor). This allows for a tight knit community and more one on one time which I really like and appreciate. Other than work, I’ve chosen to volunteer at the local animal shelter. I’m still going through all the training required for that but I’m getting there and interacting with cats and dogs can really be therapy when you just want to wind down after a long week at work. Time has flown by so quickly I actually can’t believe it. I hope it slows down just a bit so I can enjoy my time here a little bit more before I have to return to my final year at uni. 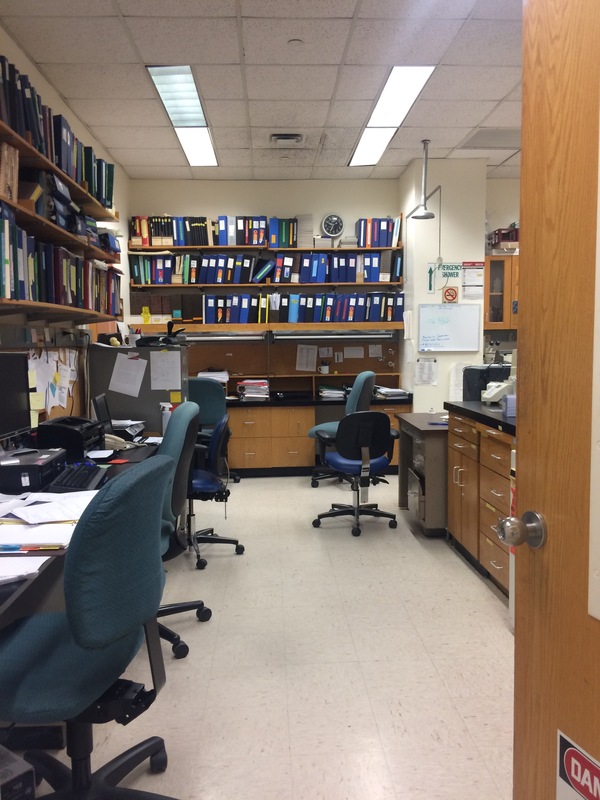 Attached are some photos of what the lab looks like in general. This is basically my new home. I spend most of my time here and I don’t think I’d trade it for anything else!